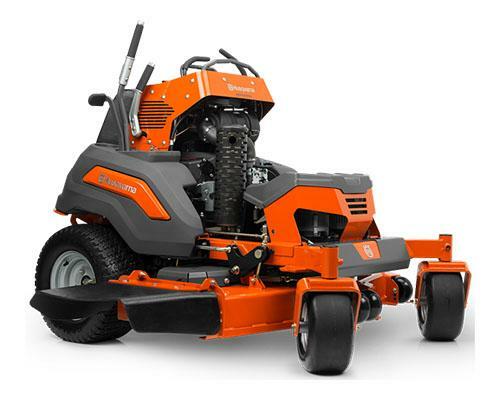 The Husqvarna V500 series stand-on mower represents extreme efficiency in commercial mowing. With a compact footprint, landscapers can arrange more landscaping products on their truck or trailer. Providing zero turn capability, rapid mount-dismount, unbeatable maneuvering and ergonomic operation, operators have the best of zero turn and commercial walk behind combined. Heavy duty construction combined with industrial strength drive systems deliver long lasting operation in any commercial application. STAND BETWEEN THE AXLES: Positioning the operator between the wheels instead of behind the wheels places weight in a more appropriate location for enhanced traction. It reduces the operator effort in staying perfectly balanced, especially during zero turn maneuvers. OPERATORS CONSOLE: With all of the controls at the operator's fingertips and well protected by the operator assist bars, ease of use is premium. 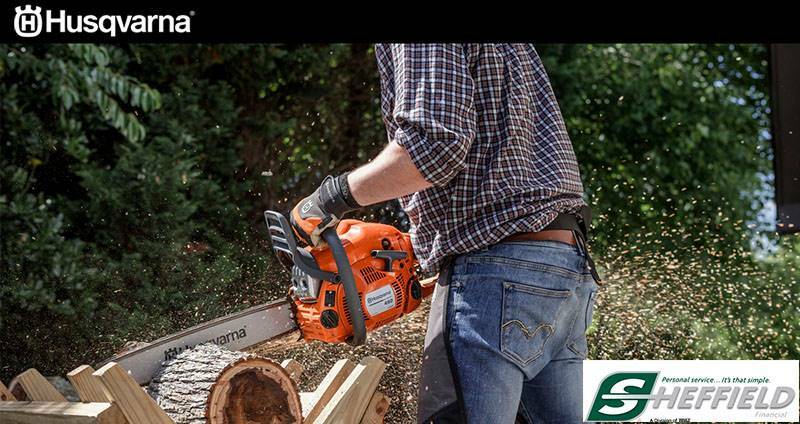 HIGH LEVERAGE DECK LIFT: With an extended cast handle and spring assist, the V500 has the most ergonomic deck lift in stand-on mowing. Easy to raise and easy to lower reduces strain throughout the workday. TOOL-LESS REMOVAL OF OPERATORS CUSHION: For minor service and cleaning, the removal of operators cushion is fast and efficient, keeping up-time at a maximum. EASY DISENGAGEMENT OF HYDRAULIC TRANSMISSION: V500 features the fastest method of disengaging the hydraulic transmissions available today. One lever pull is all it takes to make both transmissions go to bypass mode.